This article covers creating a Google Maps API key in WP Google Maps. Navigate over to our Cloud API Key purchase page and get an API key with the click of a button. 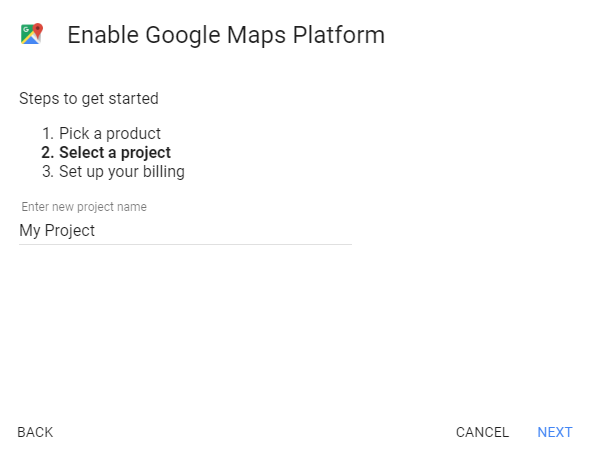 Navigate to the Google Maps Platform and click on the Get Started button in the top right corner of the site. Select the Maps, Routes and Places check boxes and press continue. If this is your first time creating an API key, you will have to create a Project first. Click the next button at the bottom-right of the window. 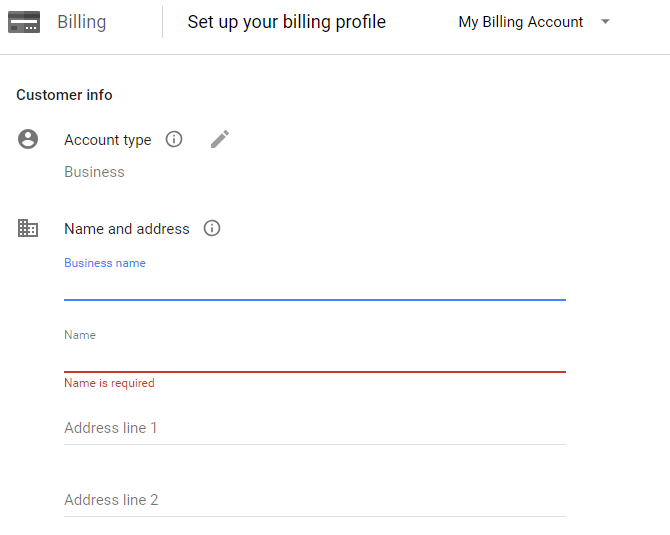 Enter a name for you Billing Account, as well as your Organization name. Enter your customer info (details) and card information. Select Submit and enable billing. Please note that you will get up to 28 000 map requests per month and 40 000 direction calls per month, free of charge. You will only be billed when your usage exceeds your monthly $200 credit limit. Click on the Credentials option on the API Manager menu in the right sidebar. Click on API Key on the next pop-up window. Copy the generated API key to your clipboard. Return to your WordPress site and paste the API Key into the box labeled “Paste your API key here and save” at the top of the page at WordPress Dashboard → Maps. After pasting the API Key to your WordPress site and saving the settings, return to the Google API Manager. You will want to restrict access to your API Key to avoid having it “hijacked” and going over your quota. Click the Restrict key button on the API key created window as shown above. Select HTTP referrers (web sites) and enter the following domains under Accept requests from these HTTP referrers (web sites) replacing yourdomain.com with your domain name. Please note that the Google Maps API is very specific about how this field is formatted – please use exactly this format. Click the Save button to save your Key Restrictions. Recently, Google Maps have announced certain API changes that will affect everyone using Google Maps. Essentially, Google has implemented new pay-as-you-go pricing plans for their API. On this plan mention, users will get up to 28 000 map requests per month and 40 000 direction calls per month, free of charge. The only thing required from existing users, is to add a credit card to their Google Console account if they haven’t done so already. Unfortunately, the changes introduces are completely out of our control. However, WP Google Maps will be implementing an Open Street Maps integration for the users that would like an alternative solution to Google Maps. 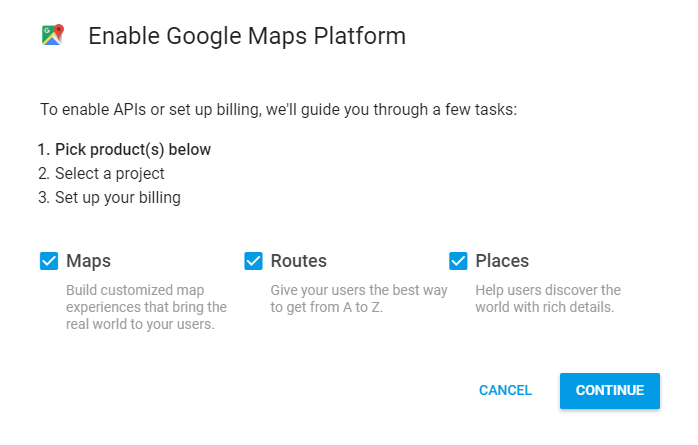 For more information and questions on this topic, please refer to the FAQ for the new Google Maps API changes. 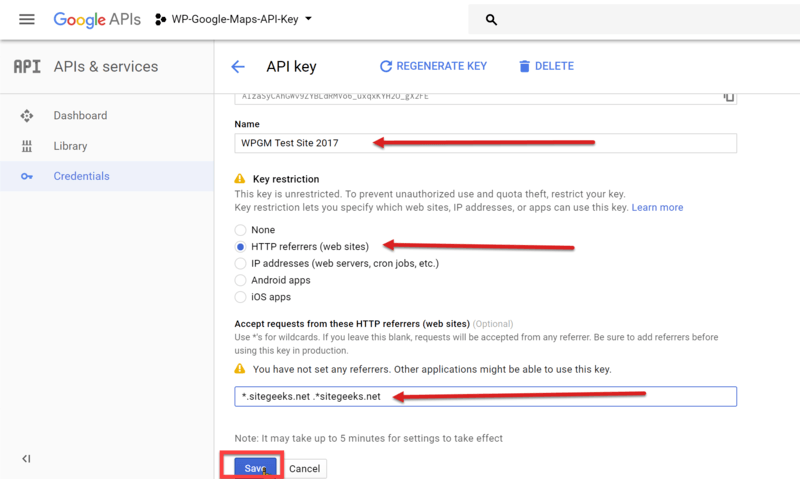 This article covered creating a Google Maps API key in WP Google Maps. If you need further assistance or are having other issues with the plugins, feel free to visit our Support Desk.